This picture is taken looking north east from the summit plateau of the hill. Buildings in Glendale are visible in the middle distance. 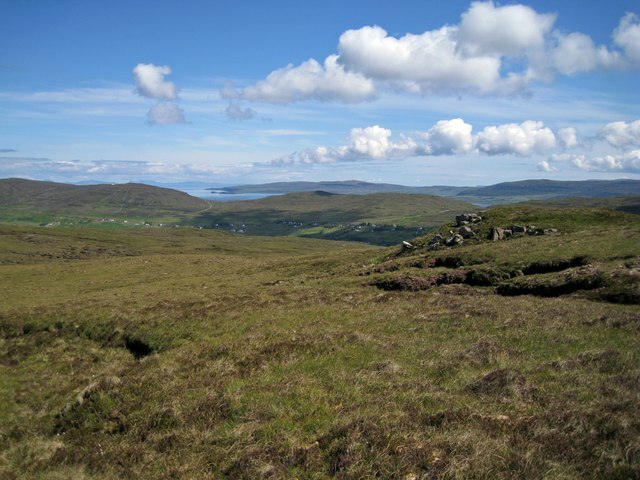 Further away, the Waternish Peninsula stretches north beyond Loch Dunvegan.